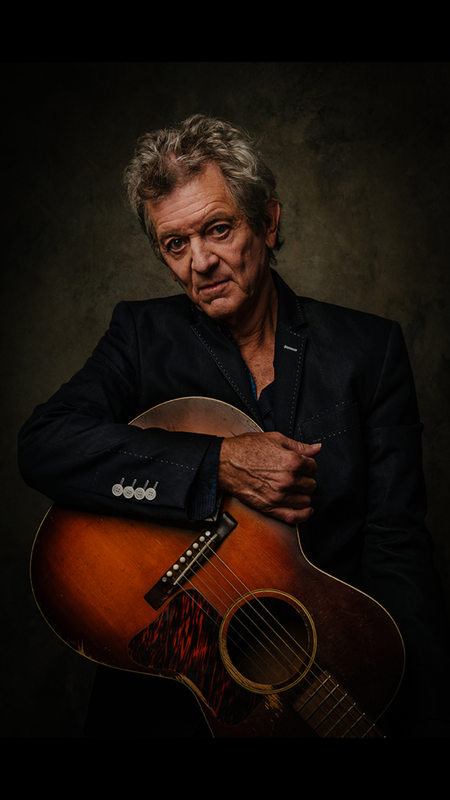 JASPER -- Rodney Crowell will perform at the historic Astra Theatre in Jasper, Indiana, on Saturday, November 3, 2018. Doors for this intimate acoustic trio performance will open at 6:30 p.m., a yet-to-be-determined opener will perform at 7:30 p.m., and Crowell and his two accompaniments will take to the Jim and Pat Thyen Performance Stage at 8:30 p.m.
Crowell is a two-time Grammy winner, a multi-Americana Music Award winner (including “Lifetime Achievement Award in Songwriting”), an Academy of Country Music Awards winner, an ASCAP Country Music Awards “Founder’s Award” recipient, and a multi-Country Music Association Awards nominee. He has had five number one country singles to his credit and has had his songs covered by the likes of Waylon Jennings, Johnny Cash, Rosanne Cash, Emmylou Harris, Jerry Reed, and Bob Seger. Tickets for this reserved seat performance are on sale now at www.RodneyCrowellattheAstra.eventbrite.com and are $49.95 for VIP (preferred parking and seating and early venue access with refreshments and a free drink voucher), $29.95 for the main floor, and $29.95 for the Best Home Furnishings Balcony (the Best Home Furnishings Balcony is home to the Bell Tower Bar, a private balcony service-only bar, and has more immediate access to the Astra’s restroom facilities). Season ticket holders and business members will be contacted about their assigned seat information. For additional information about Rodney Crowell, visit www.rodneycrowell.com, www.facebook.com/RodneyCrowellOfficial/, www.twitter.com/RodneyJCrowell, and www.instagram.com/rodneyjcrowell. Tickets are still available for a June 2 screening of the Wizard of Oz, Rock Lotto on July 21, and an intimate October 6 solo acoustic performance by critically-acclaimed Americana musician Pokey LaFarge. Tickets for all events at the historic Astra Theatre in Jasper, Indiana, can be purchased at www.astratheatre.eventbrite.com. The Astra Theatre is owned and operated by Next Act, Inc., a 501c3 that has raised nearly $2 million dollars since forming in October of 2014—all of which has been used to create an endowment to support the venue's sustainability, purchase the facility, and completely renovate it. For more information, please visit www.TheNextAct.org.